Hands-on, real-time curriculum with immediate real-life application to your own business. A dedicated Slack channel for students only to ensure you get all the support you need. Plenty of hand holding support to address your questions including live Q&A calls. In-depth training on Google Analytics and Google Tag Manager to implement strategies based on data. One year access to the Measurement Marketing Academy with detailed videos and additional support options. Step by step guidance on how to market yourself with this new skill set and how to find clients to grow your business. What if I can’t make the live trainings or Q&A calls? That’s OK! All of the training calls and Q&A calls are recorded for you to watch and listen at your own pace. Your certification won’t be earned by watching live trainings… it’s earned by doing the work and staying in communication with your instructor. Fortunately, those things can happen whenever you’d like. How will I be able to market this certification to get new clients? No worries, you will know how to sell your new skill set as a Certified Measurement Marketer so you can get the clients you want. In fact, there is now a referral program for the Certified Measurement Marketers to keep up with the demand. How much can I expect to be able to charge a client once I am a Certified Measurement Marketer? Obviously, there is no way to guarantee what you are able to earn. However, we’ve seen projects start at the low end of $1,000 and other projects go to the high end of $25,000 for a more extensive set up. Of course, there is no guarantee this will happen for you. Your success depends on you. Fortunately, with your certification in hand you’ll at least have the tools you need to help! I am heavy in social media marketing. Will this certification help with that? Absolutely! You will know all about the best ways to track traffic so you can connect your efforts with actual revenue. No more guessing and trying to connect the dots. You will also know all about social media marketing with Google Tag Manager and how it will make implementing pixels so much easier for you. I’m not a developer or a person that understands code. Will I be able to keep up and get certified? What if I find out this isn’t for me? Can I get a refund? Sure! You’ll have 30 days to go through the classes, do the homework, and apply the skills. 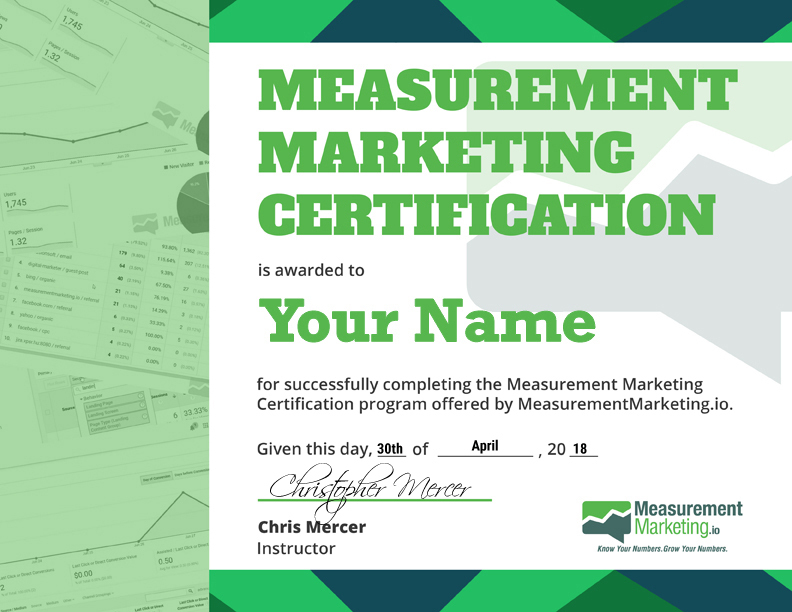 If you feel that being a Certified Measurement Marketer isn’t for you then you can get a full refund if it is within the first 30 days. The first class counts as day 1, not the day you purchase. What happens after I get certified? Once you are certified you will join a dedicated slack channel for Certified Measurement Marketers so you can stay up to date on the latest tools and bounce ideas off of. You will also be a part of a Certified Measurement Marketing directory where prospective clients can find you. What if I am already an Academy member? What happens to my membership? Your Measurement Marketing Certification comes with 1 year of the Measurement Marketing Academy. If you are a current Academy member, you will have your membership paused for a year so you can enjoy your complimentary access. After that year your membership will resume at the same rate it was before it was paused. This way you’re protected from any future rate increases. 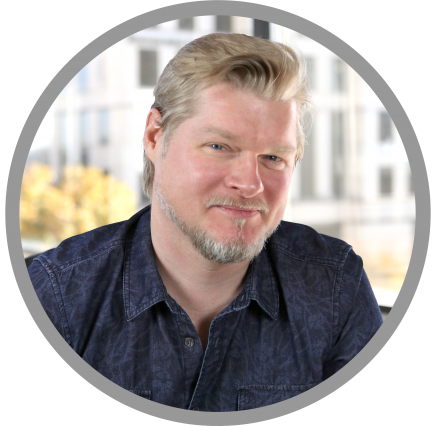 Chris Mercer, who goes by “Mercer” is the co-owner of Measurement Marketing.io. Apart from training top businesses how to measure and improve their sales funnels, he is a top contributor and speaker at multiple analytics and optimizations conferences and blogs like Conversions XL, Conversion Conference, Digital Marketer, Traffic & Conversion Summit, Social Media Examiner and more. You want to stand out from 95% of other marketers with a specialized skills set. You are a marketer who asks questions, actively participates, and is always learning. You want a certification that has direct, concrete benefit with immediate real-life application to your business. You need to add or enhance an analytics service to your freelance business.